Three Wolves Howling Flask - 7 Oz. | BUDK.com - Knives & Swords At The Lowest Prices! 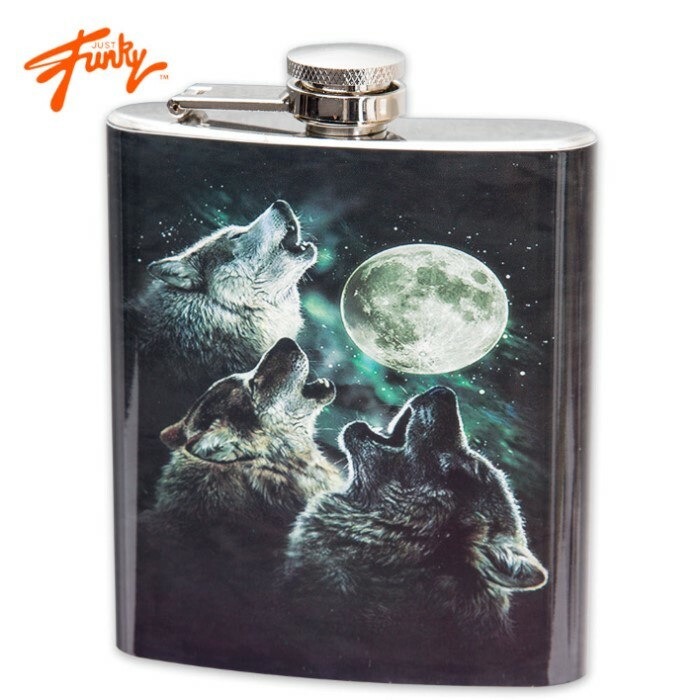 Three Wolves Howling Flask - 7 Oz. 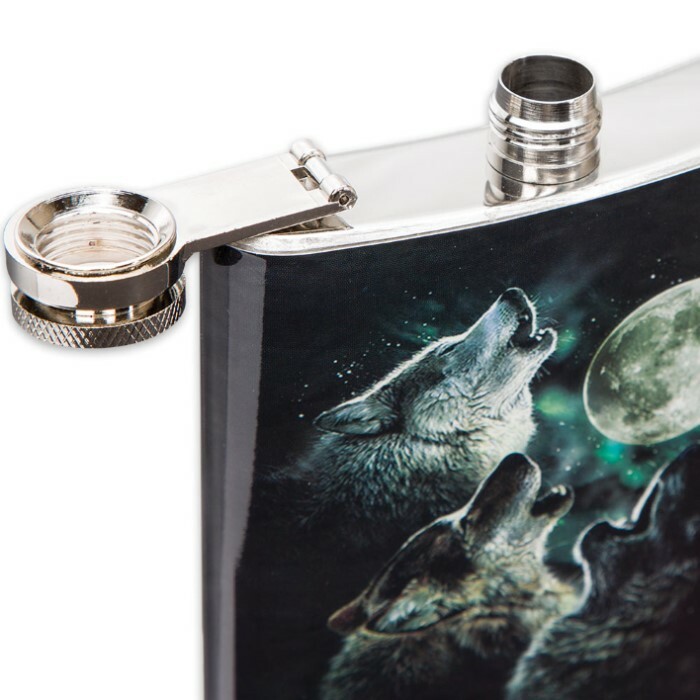 Beautiful design and original artwork are what make this howling wolves’ motif look incredibly awesome on a flask. The stainless steel flask has the colorful design on its front. The top and bottom of the flask has a polished finish and it has a screw-down cap. The flask will hold 7 ounces of your favorite beverage.